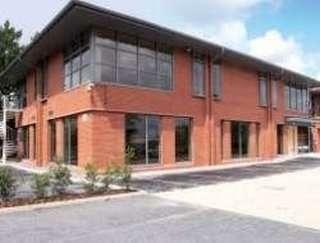 This modern centre is in a well-established first choice location for businesses such as Cincom, Rank, Capita and '3'. The business centre in Maidenhead Town Centre occupies three floors of a modern low-rise brick building with wide windows letting in ample light. This centre offers all-inclusive pricing, so you can move in with peace of mind that there will be no unexpected costs each month, and the 24-hour access means that flexible working is no problem. The property has fantastic amenities, which include conference facilities, meeting rooms, administrative support and reception services with telephone answering. Maidenhead town centre is a short walk away, and the main railway station is approximately a three-minute walk, providing rail links to London Paddington, Reading and the West Country. There are three bus routes which run from Maidenhead; covering Reading, Heathrow and Windsor. This centre is located within a five-minute drive from Junction 8/9 of the M4 motorway, and offers easy access to Heathrow International Airport. A new Travel Lodge is conveniently located in the next building, perfect for any visitors.